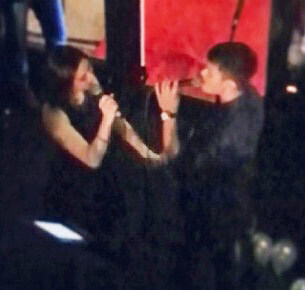 According to people present at the party, the two were very close despite the presence of Sarah’s mom, who’s rumoured to be against the Sarah and Matteo’s budding romance. 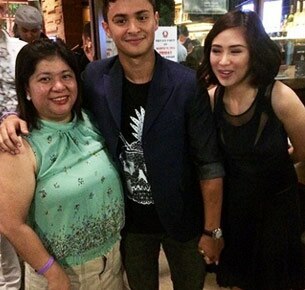 Actor Matteo Guidicelli turned 24 last March 26 but held his birthday party last night at a bar in Pasig City. All eyes were on the birthday boy as rumoured girlfriend Sarah Geronimo arrived with her mother, Divine. Also present at the party were celebrities John Lloyd Cruz, Angelica Panganiban, Julia Barretto, and Matteo’s Galema co-stars Andi Eigenmann and Sheryl Cruz.